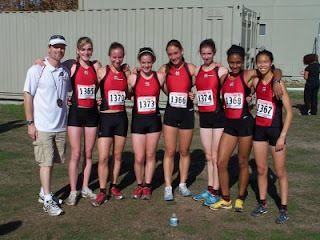 Runners in red finished in the top 10 in their division. Feel free to comment on the above rankings. 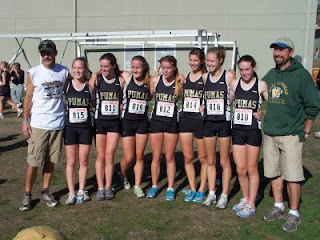 I thought it would be interesting to rank the teams and individuals before Saturday's state meet. 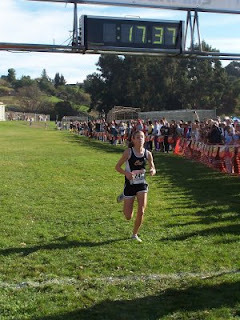 I based the rankings off the performances at the section meets (CCS, SJS, NCS, NS, OAK and SF). If you feel, like I left runners and/or teams off the list, please let me know. We can compare this list to what actually happens at the state meet following this Saturday. Best of luck to all Northern California teams and athletes. More to come in the next couple of days as newspapers do their state meet previews. If you have any links, forward them to me at albertjcaruana@gmail.com and I will add them to this list. 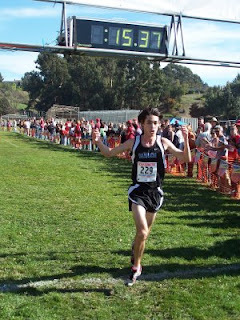 Today we chat with junior runner Garrett Rowe who is the lead runner for the best boys' team in Northern California, Mt. View HS. 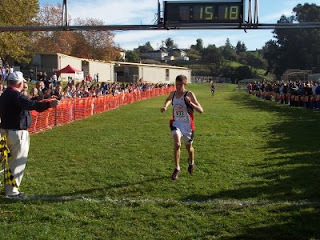 Garrett won the CCS Division II individual title on November 15th at Toro Park after a incredibly close 2nd his sophomore year. 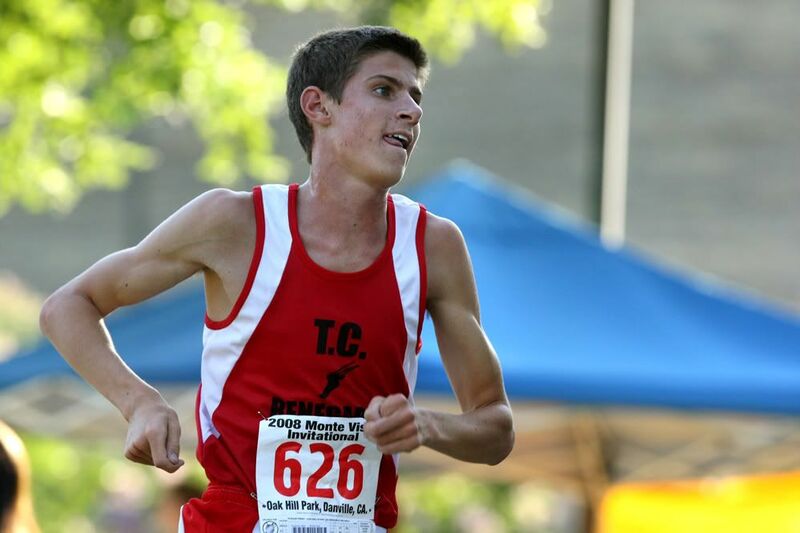 His sophomore track season came to a sudden end with an injury but after a slow start in xc, Garrett is on a definite roll heading into the state meet this coming Saturday. 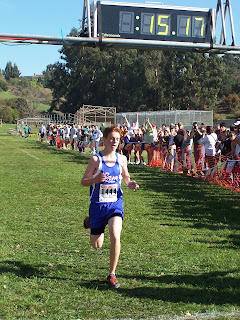 I first started running a little bit in seventh grade when I started burning out on club soccer. I finally gave up soccer my freshman year. 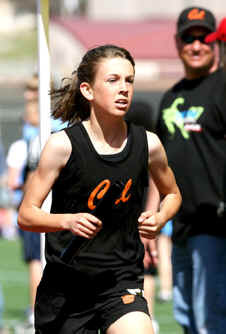 My parents were very supportive of my transition into running and that helped me come to love the sport. 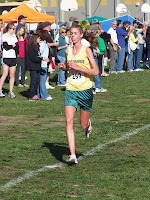 2) I believe your dad had some success in running as well. What were some of his accomplishments and times? 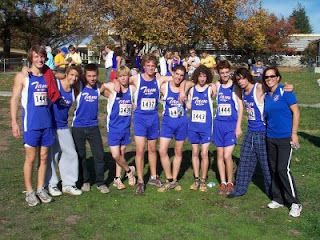 In high school my dad was two-time Indiana state champ for XC amd two time state champ at 2 miles. He was All-American his junior and senior years. He was the captain of the Princeton XC team in the early 80's. He still holds the record for the 1000m indoors at Princeton and won 3 consecutive Heps titles indoors at that distance. 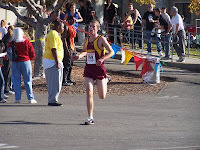 After college, he ran a 3:40 for 1500m. 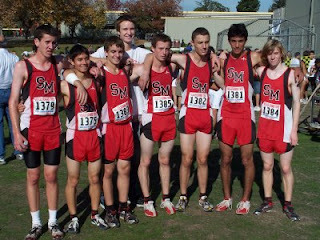 3) What was your experience like during your freshman year in cross country? 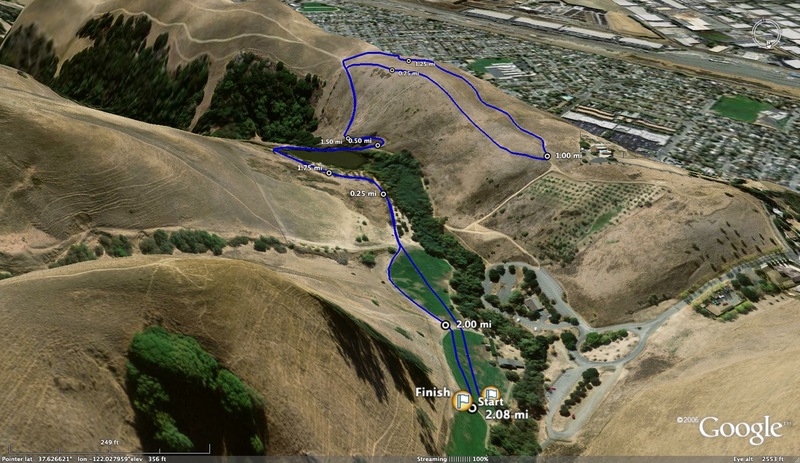 What runners did you look upto as you were getting started? 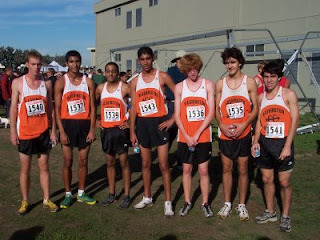 Freshman year was a little scary for me in cross country because it was a step-up, but the seniors on the team were great guys, and I looked up to them when I was getting started. They were always supportive of everyone on the team and I think that most of us looked up to them for that reason. 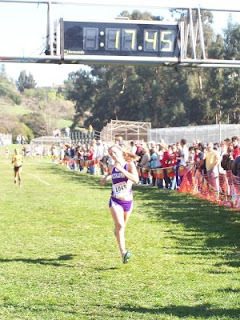 4) Where do you feel like you made the transition to the runner you are today? 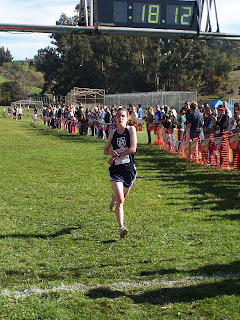 I'm not exactly sure if I made any sudden transitions into who I am, but I think that the accumulation of experience through my first three years of high school has shaped me as a runner. 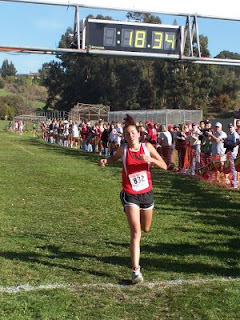 Some successes and some tough times, like getting injured last spring with a stress fracture in my heel. 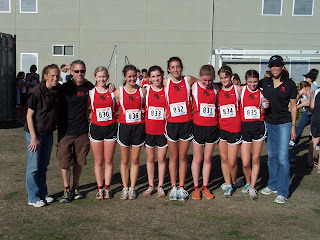 5) You experienced some injuries last year during track season. What did you learn from dealing with those injuries? 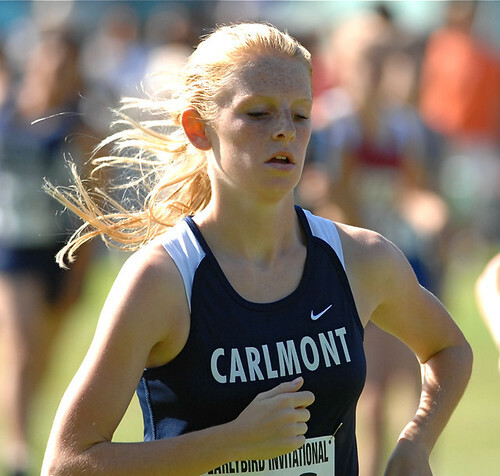 I learned that I have to be careful about how much racing I do, because there are only so many times that a runner can handle the stress of a race. 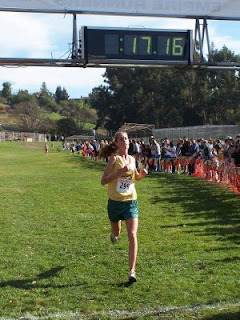 With the great weather we have in California, it's easy to get carried away with running too many races over a very long season in XC and track. 6) Tell us a little about your coach Even Smith and what he has meant to the Mt. 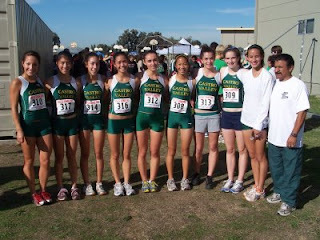 View Cross Country and Track and Field teams. Coach Smith is the backbone of our team. In believe Smith's biggest asset is that he encourages the strong runners and the up and coming runners equally. The JV and frosh-soph teams that back up our varsity squads are incredible both in talent, hard work and enthusiasm. Smith screams and cheers as hard for JV and frosh-soph as he does for varsity. Motivation runs up and down the roster and it's all because of the way Smith focuses on every individual regardless of talent. 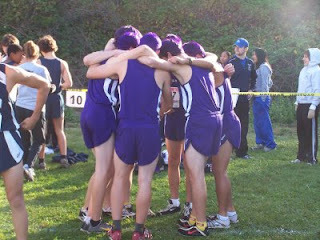 I love being on this team and so does everybody else. 7) What did you do differently this summer in terms of training? The main difference between this summer and last summer was the quality of the mileage. I only stepped up my mileage a tiny bit from last year (50 to 55), but I made most of my runs faster. 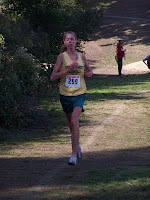 I also did alot of my summer running at altitude in Tahoe. I have a good friend who lives in Incline and he took me on some death runs that went up to 9,000 feet. 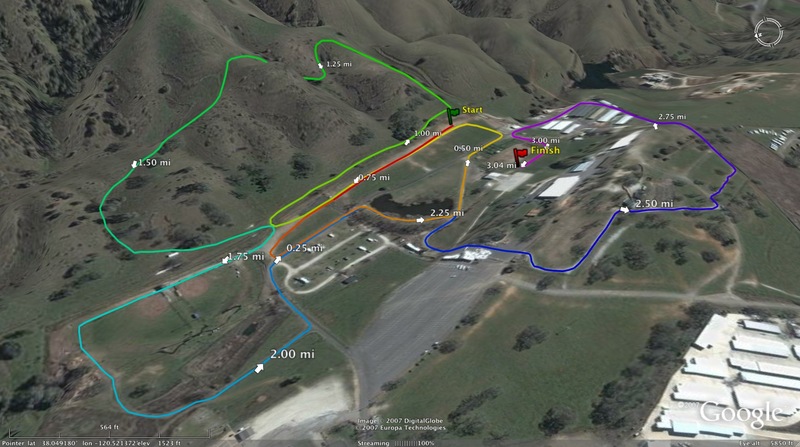 8) What do you consider to be the most important parts of the training program at Mt. 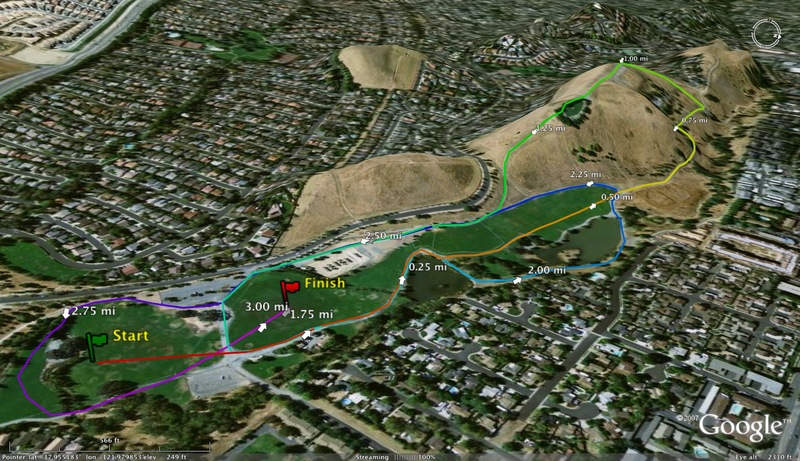 View and what workouts give you the most confidence going into the races? 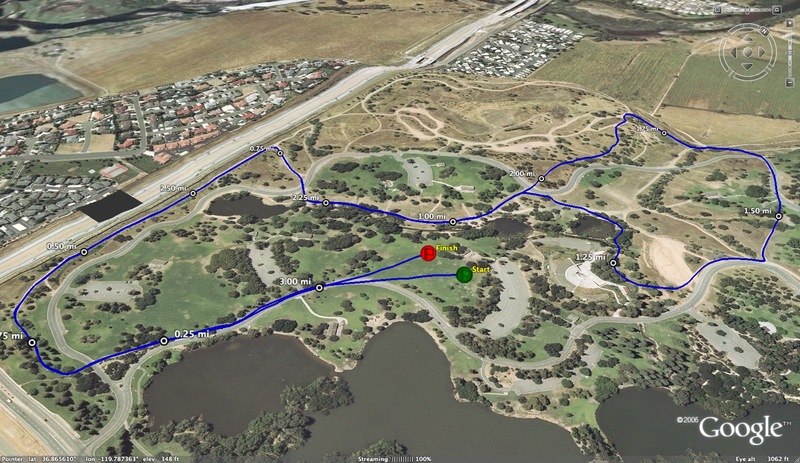 I think the best parts of the program are the interval workouts, because while they usually consist of difficult, fast mile or two mile repeats, they are targeted at maintaining a high level of threshold fitness. These workouts have also been important to sustain peaking until later in the season. 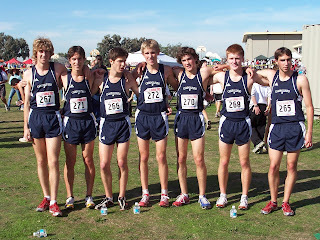 9) Most runners of your ability do not have teammates that can run with them during practice. That is not the case for you in that you have Ian Myjer. What has he meant to your running success? Ian and I have been friends since third grade. He's tough as nails, not to mention the most supportive teammate I could ask for. 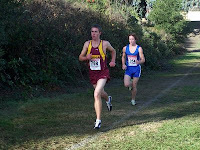 I admire his enhanced dedication to running over the past year and it's great to have friendly competition with him. We're both team-oriented and want to do whatever we can to help Mountain View win. 10) Who are the teams that Mt. View will be battling with at the state meet? 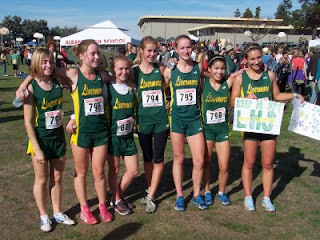 I think our main competitors in DII are Loyola and Thousand Oaks, though I'm not saying I would count out any other team. We'll fight it out to the end, and I think it's going to be a very tight race. 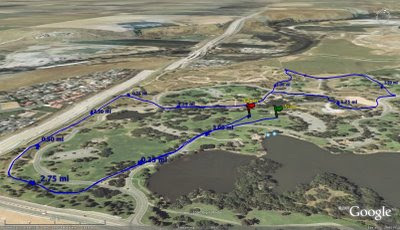 11) From this season so far: Favorite course? Favorite race? Favorite competitor? 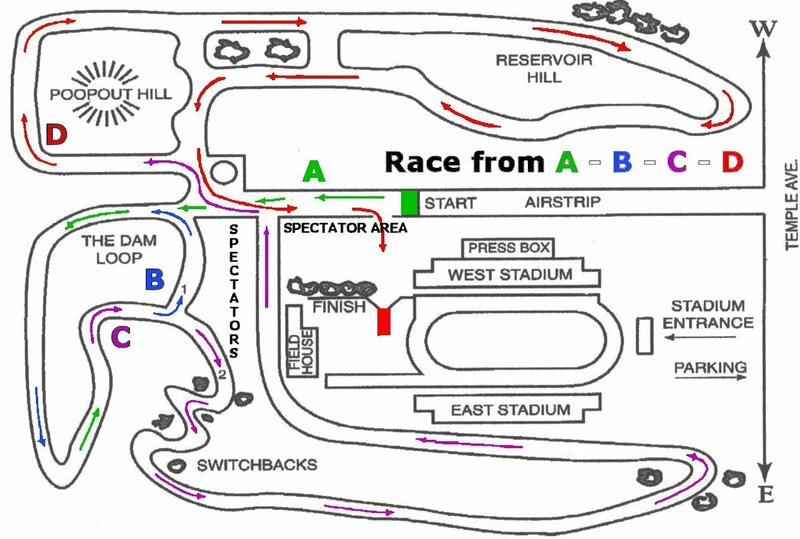 Your best race? So far, my favorite course has been Mt. 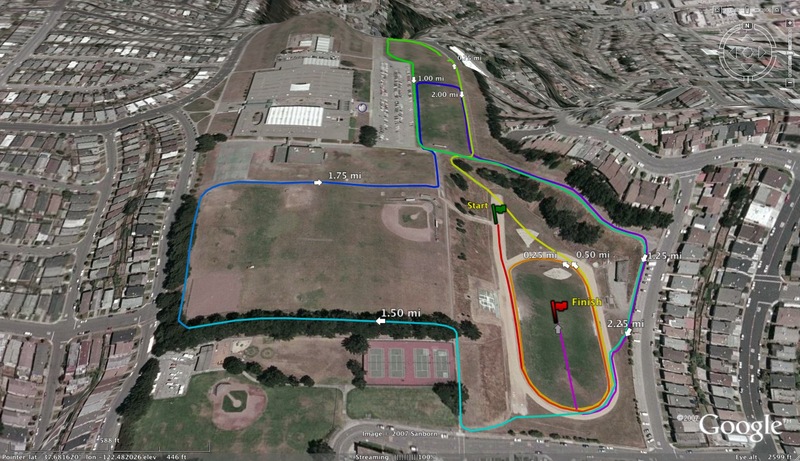 Sac, though we didn't get to run there this year, so I've only run the course once as a soph. 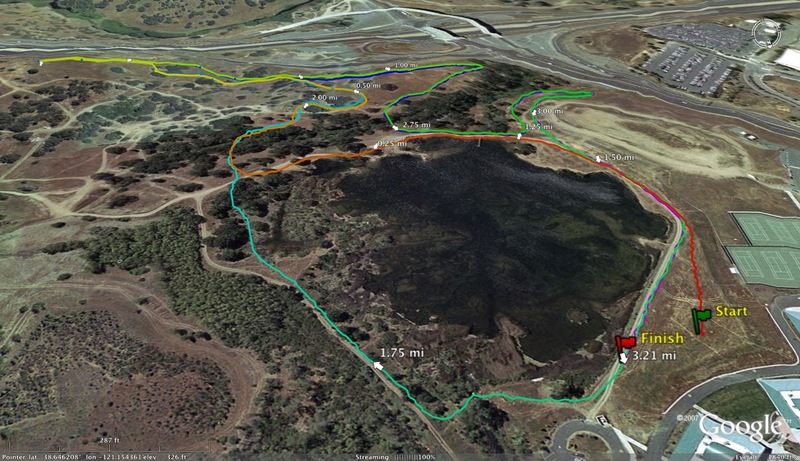 Crystal Springs would be a close second. 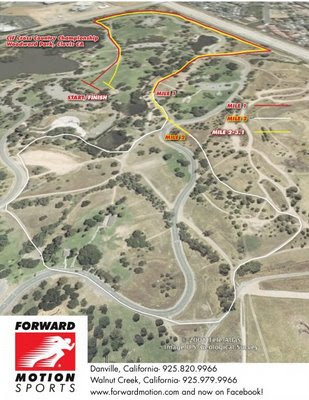 I feel my best race was CCS at Toro Park, even though the time wasn't very fast because it was hot. 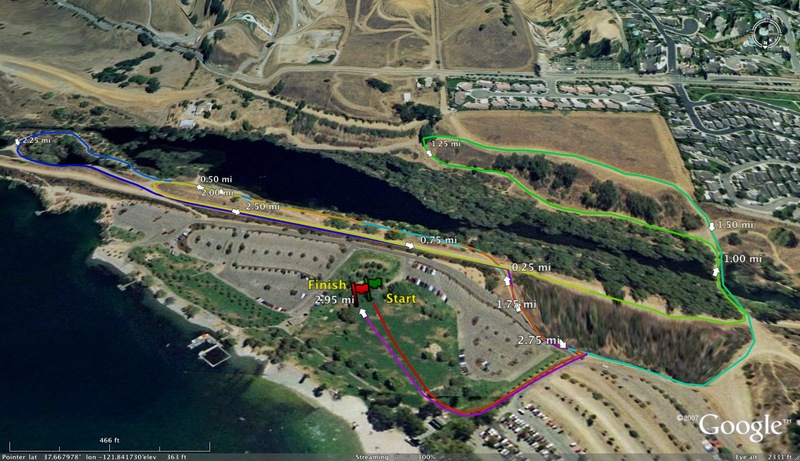 My favorite race was probably Leagues at Crystal, because it was a lot of fun to run with Ian the whole way. Finally, Ian's my favorite competitor because he's the only guy I don't get mad at when he beats me! 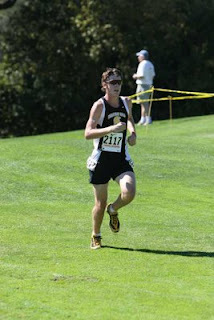 I get asked alot why I always race with Oakley M-Frames on. I want to set the record straight that I wear contacts and my eyes are sensitive to dust and bright light. I even carry a doctor's note in my bag because I've been hassled by officials at the starting line. I'm not trying to look like Jeremy Wariner, but I wish I had his 400m speed...Thanks Mr. Caruana! Wyatt Landrum's journey to fastest time of the day! 1st, 2nd, 3rd and Honorable Mention All-NCS teams will be posted tomorrow. Lots of NCS Data on the way including combined individuals and teams as well as top seniors, juniors, sophomores and freshmen. If you have any other data you might be interested in, please let me know. Individual winner pictures will be up next. 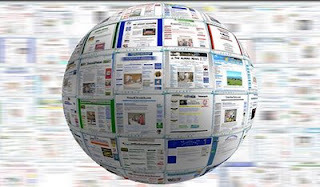 Thank you all for your continued support of this blog. Here we go...it's NCS time! 1. 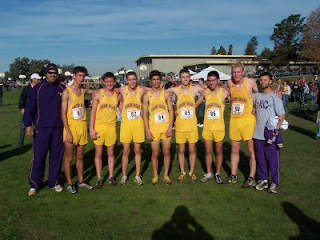 Amador Valley -- clear winners in EBAL very tough this year. 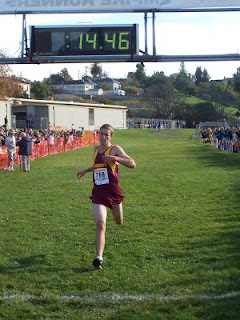 Awesome Cross Country Picture from CCS Meet! I found this picture in the Hollister Free Lance. 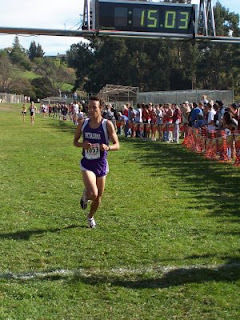 It's Anzar's Aaron Hsia-Coron, winner of the Division V race at the CCS race this past Saturday. I thought it was a pretty cool shot. NCS Predictions will be posted later today. 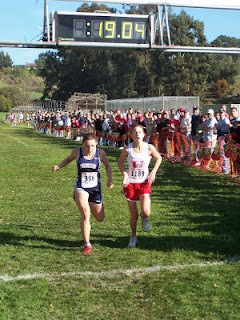 Looks like it's going to be a nice day at Hayward HS this Saturday but thankfully nothing like CCS last week. Today we chat with Moreau Catholic coach Phil Wilder who has one of the better Division IV teams in the North Coast Section. Phil's teams are usually quite large and especially impressive considering he coaches in the 2nd smallest division. He also hosts one of the more popular invitationals in the East Bay which includes a motivational speaker the night before. Last year, the speaker was none other than the only American Olympic gold medalist in the 10000m., Billy Mills. 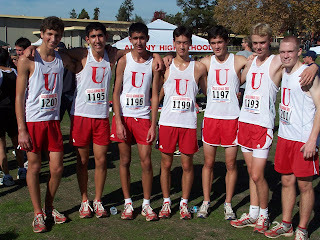 of cross country and track and field? 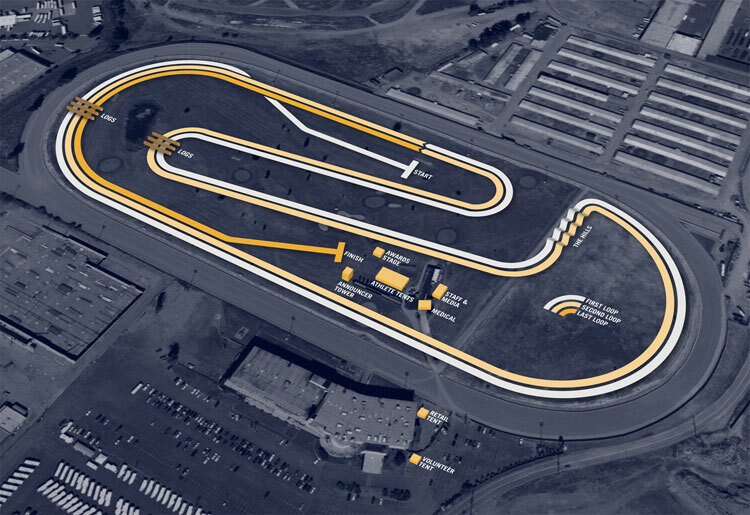 meets, road races, and clinics. 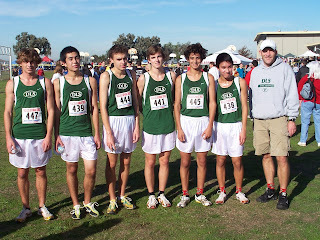 2) How long have you been coaching at Moreau Catholic? 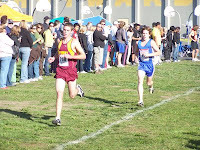 coached cross country at El Cerrito and Pinole Valley High Schools. What do you teach at the school? I am currently teaching A.P. American History and American Government. 3) Who were your coaching mentors when you were starting in the sport? ongoing and life long process. 4) What are your expectations for your runners during the summer? summer. We have had runners keep logs with varying degrees of success. 5) Your teams are rather large especially considering that your school is in Division IV. How do you attract so many runners to your team? 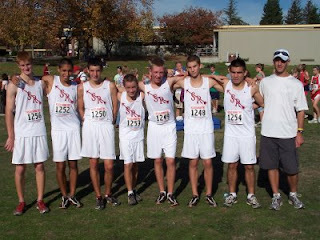 runners on the team. We have 8 coaches for the team who are incredible! teacher/coach), Rene Sanchez (Theology teach/coach), Rondy Lazaro (alum) Joanne Couling (Science teacher/coach) and Liam Foley (alum) are all fantastic with the runners! The p.e. 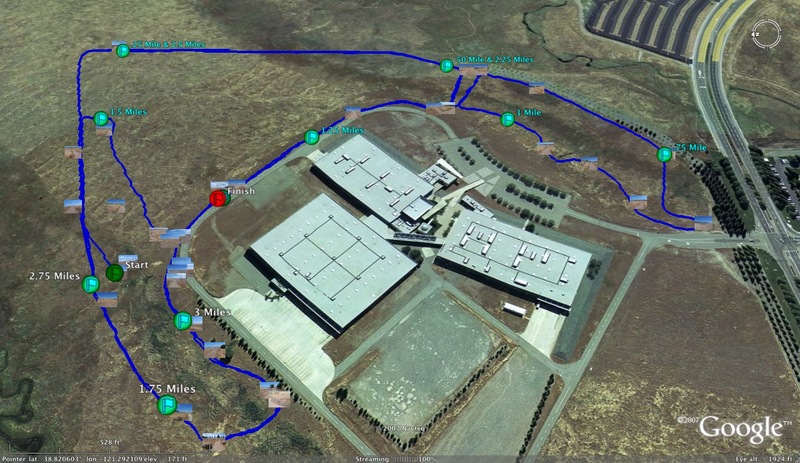 6) Describe the training area around your school. Positives? Negatives? 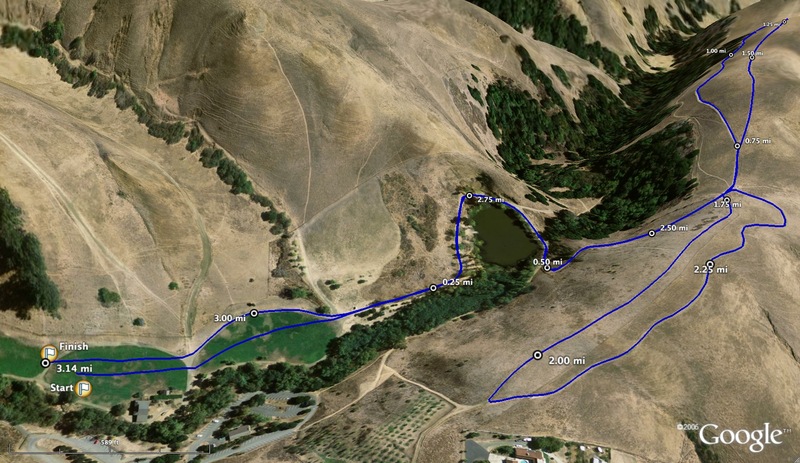 some great training sites that offer plenty of hilly trails. you do throughout the season? 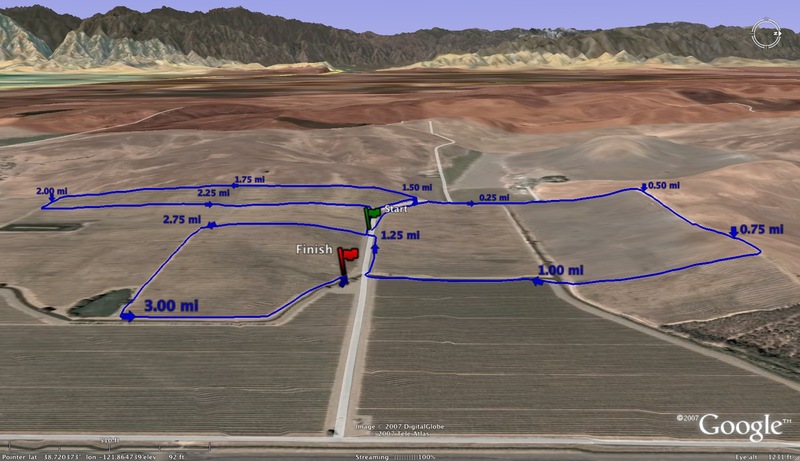 from the JFK Sports Psychology masters program work with the runners. The mental "workouts" were very positive! special teams and individuals over the years that would fill up pages. the runners, parents, coaches who make it all special. 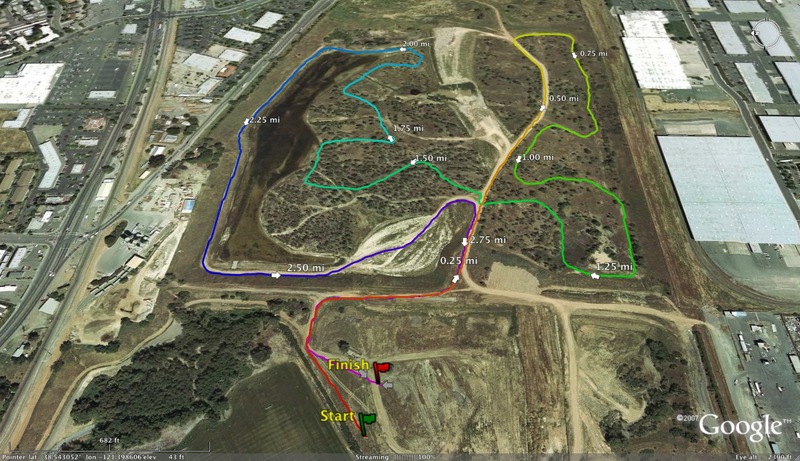 changes that you have seen in the sport of cross country? 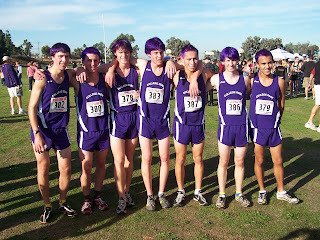 cross country has remained the same. dinner the night before the event? an average, 300 runners and coaches! 11) What advice would you give to young coaches just starting out? are always willing to share and give back to the sport! Puppione! I have learned a great deal from him! Good luck to everyone the remainder of the season!